An agenda for a meeting lists all the important tasks to be done in the meeting and the topics to be discussed. 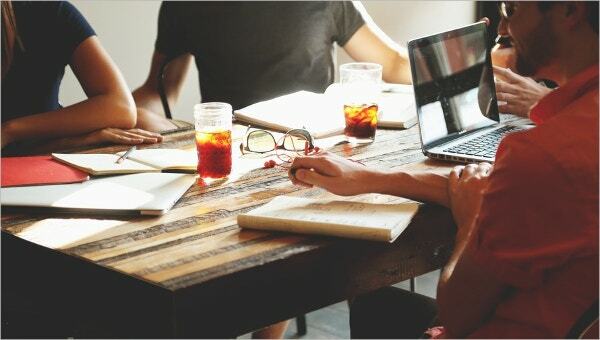 Making a meeting agenda before a meeting is important because discussions taking place in a meeting might often go off track and an agenda helps in reminding all the members of the important goals of the meeting. Meeting agenda templates Word files are agenda templates which you can make use of for making your own meeting agendas. 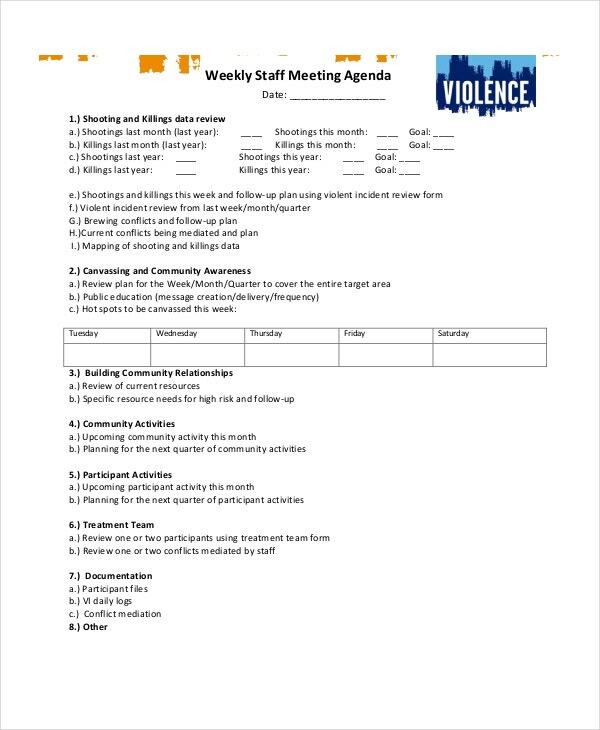 This meeting agenda template Word file will be useful for making a meeting agenda for a meeting to be held with the members of the staff of a company or organisation. 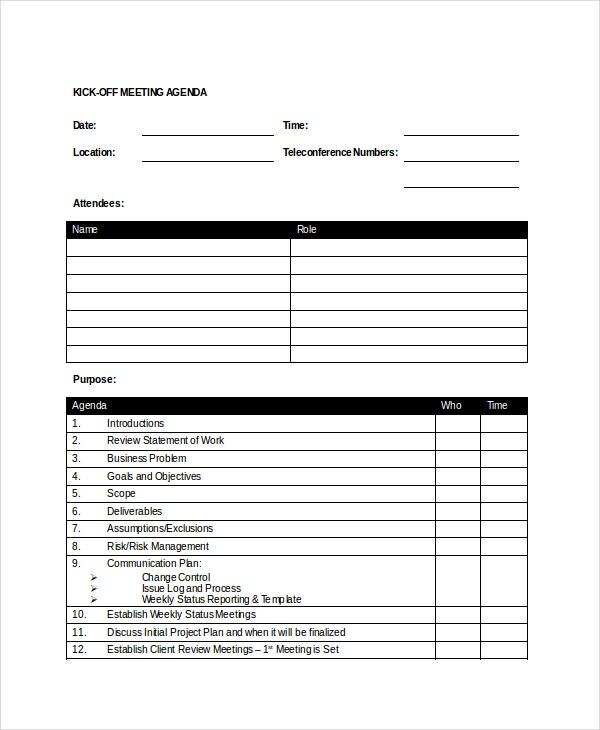 This meeting agenda template Word file is a sample meeting agenda that can be used by you as a reference for creating a meeting agenda for a meeting of board members of the company. 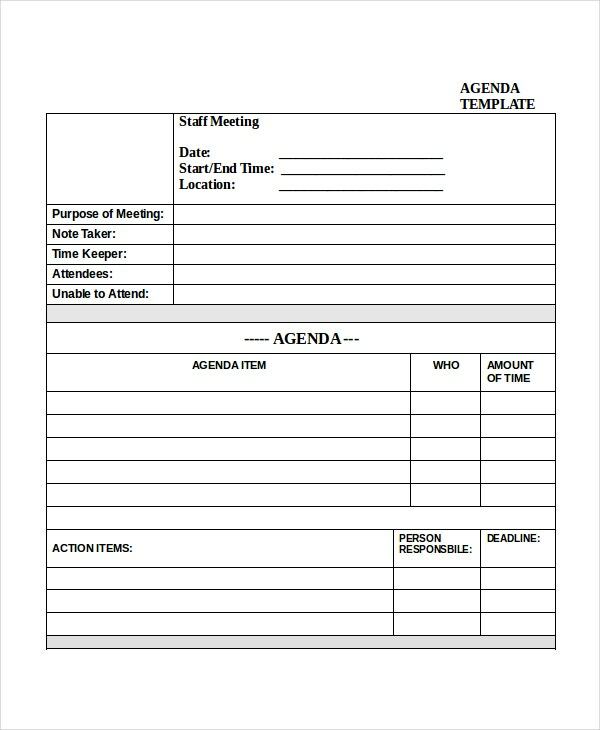 This meeting agenda template Word file is a template which you can directly use for creating your own meeting agenda for a business meeting. You can add specific information regarding the meeting in the template. 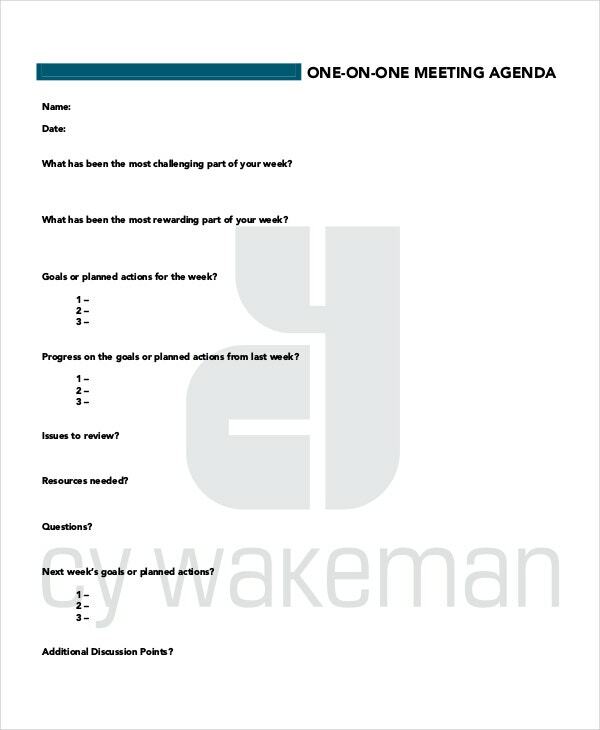 > How to Create A Meeting Agenda Template? Creating a meeting agenda template is very easy. 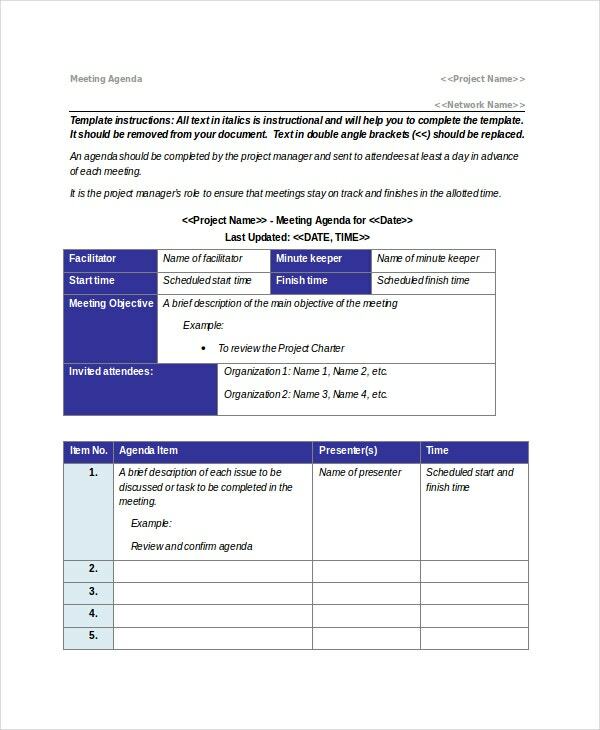 In a meeting agenda template, there are specific regions where people have to fill information specific to their meeting in order to generate their own meeting agenda template. To create such a template, you have to create a Word file having all these specific areas with the headings already written by you. You have to write headings like date, time, location, attendees, etc and leave enough space to write particular information to create a meeting agenda template. You can also give guidelines on using the template in the beginning of your Word file. You can also see Company Meeting Agenda Templates. 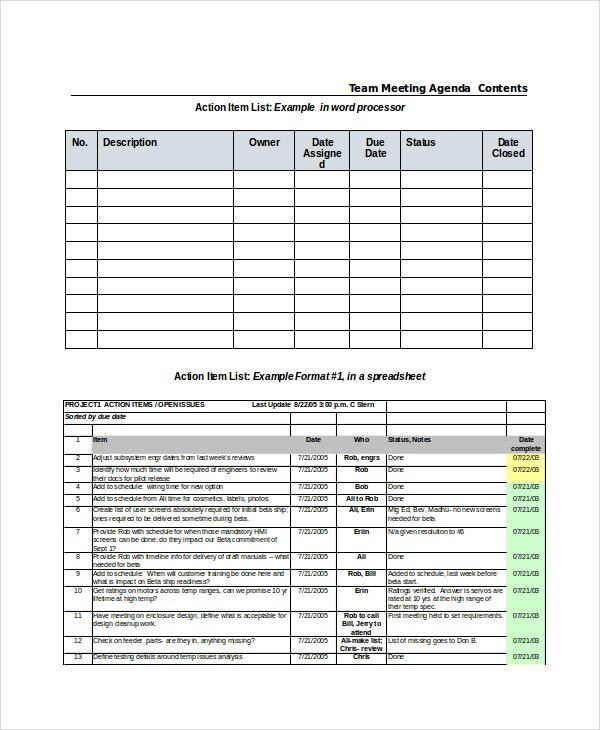 This meeting agenda template Word file can be used to make a list of actions that are required to be taken for a project. This list can be used for making an agenda for a meeting among the team members of the project. 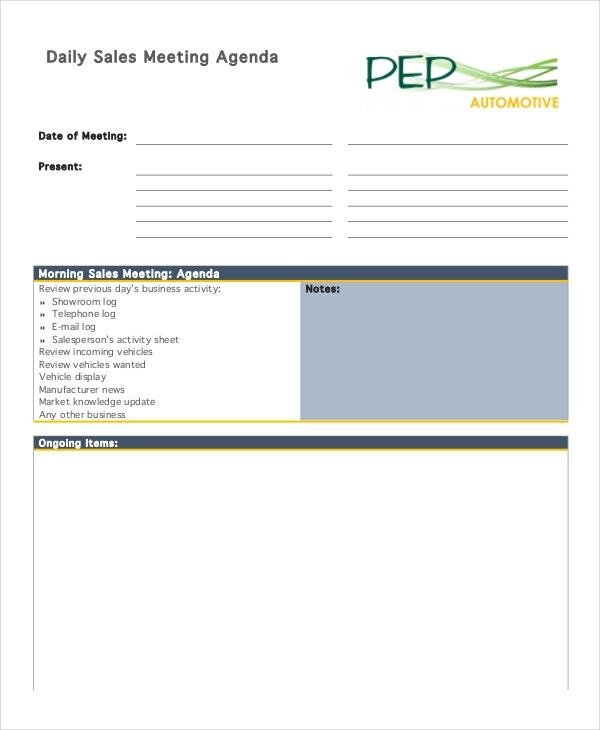 This meeting agenda template Word file is a sample template that can be used as a reference for creating a meeting agenda for meetings that are scheduled to be held after a specific time period. > What does a Meeting Agenda Template Include? 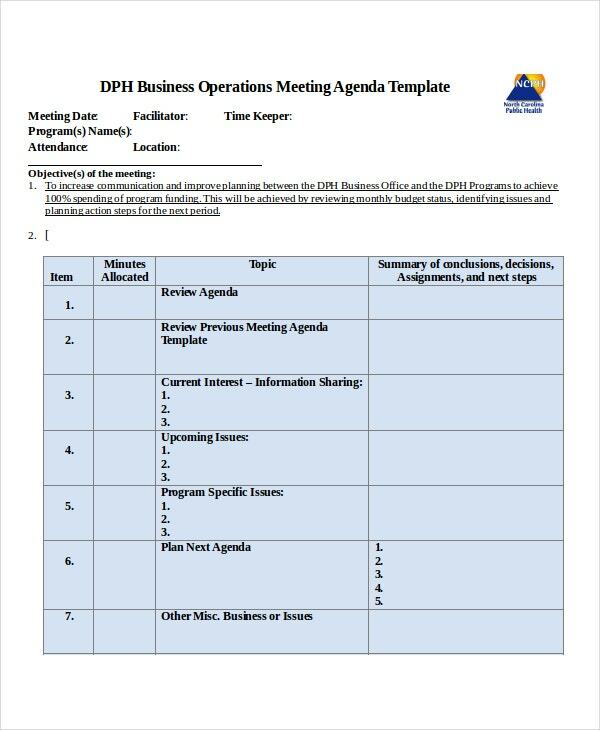 A Meeting agenda template contains various information specific to the meeting. The information is of three different types. First is the physical attribute of the meeting which includes its date, start and end time and location. Next is the details of members who will attend the meeting along with the purpose of the meeting. This includes the name of each member, their title and role in the meeting. 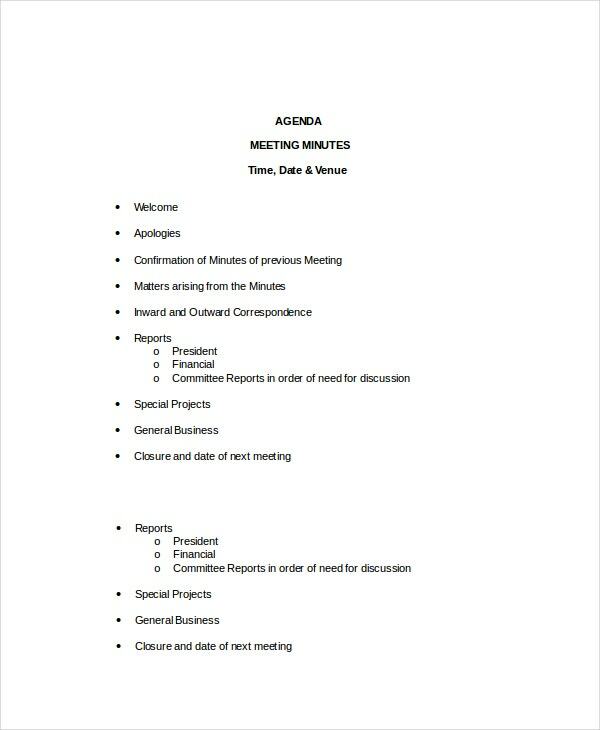 Last is the details of the various topics that are to be discussed in the meeting along with the details of actions taken on different topics discussed in the previous meeting. You may also see informal meeting agenda templates. 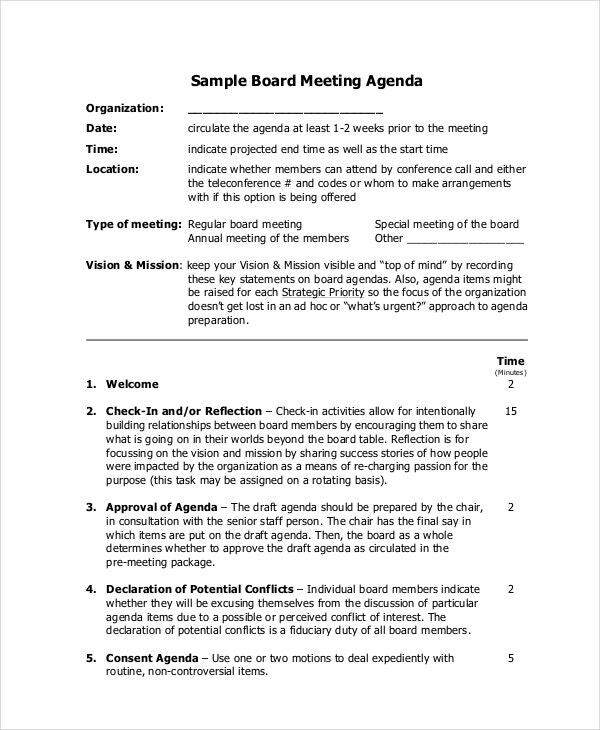 > How Does the Meeting Agenda Template Work? 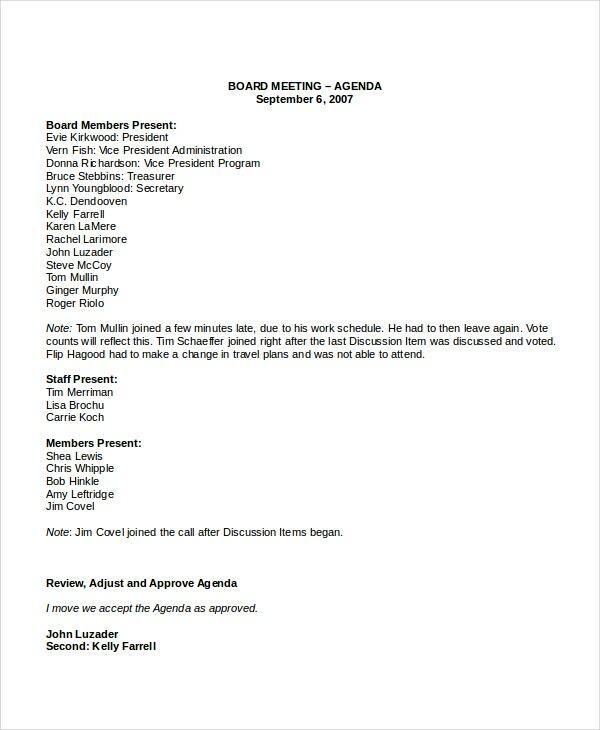 The use of a meeting agenda template depends on the type of template it is. If the template is a sample template, then you can use it as a reference. You get to know about the format in which you should write the meeting agenda, the information you have to write on it and in what order you have to write various information in the main body of the agenda. If the template is a blank template, you can directly use it to create your own meeting agenda. In the blank template, you have to fill specific information in their defined areas. Simple agenda templates are also useful tools which you can make use of for various purposes. Meeting agenda templates are extremely beneficial as they not only help you with the proper way of writing a meeting agenda, but also help you in saving a lot of time you would have to otherwise spend without using the templates.